Downed aircrew often drifted for days in their small inflatable dingies hoping rescue would come. 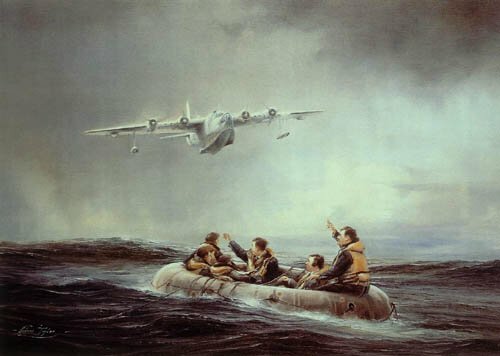 Robert Taylor's painting depicts that first sighting by an Air Sea Rescue Sunderland and the moment of joy of the aircrew. Overall print size: 20" x 14"